Fall/Winter has hit Chicagoland. Fall was pretty much skipped over and it's been feeling like winter. But this past Sunday, the day was sunny and beautiful! 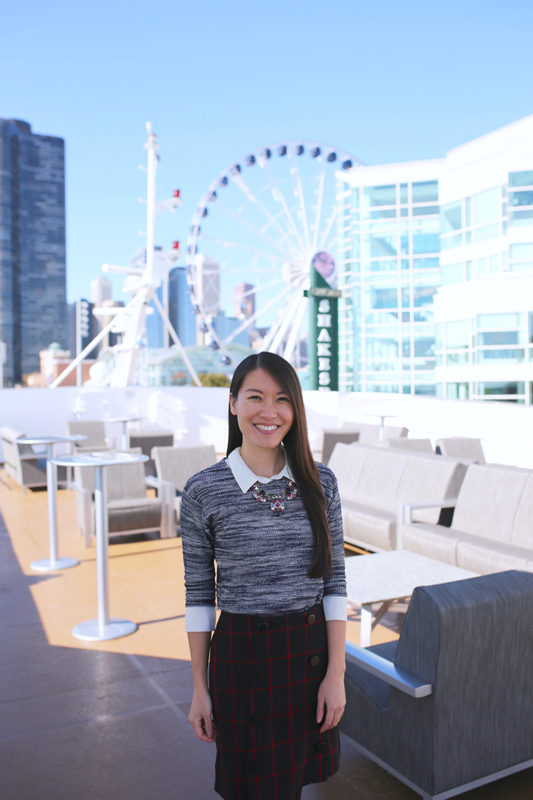 I made the most of it by enjoying a champagne brunch cruise with Odyssey Chicago Cruises. 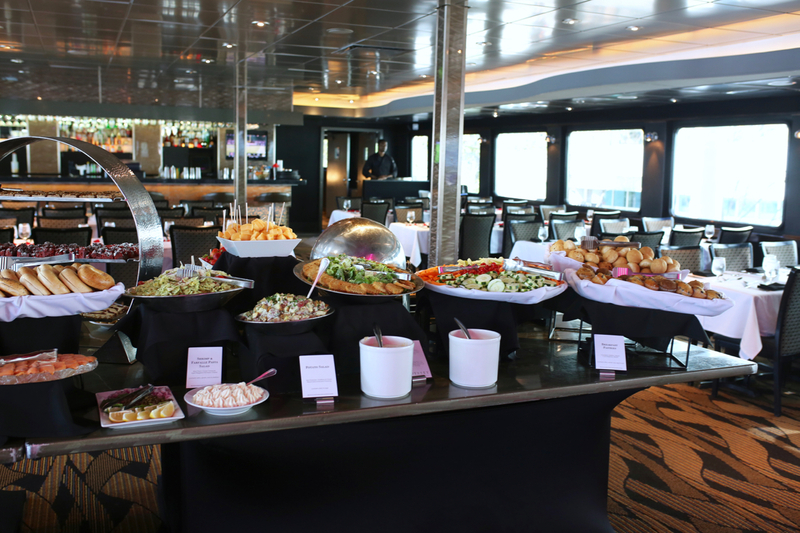 The cruise was the best way to spend a Sunday afternoon with good company and a sea of unending delicious food and drinks. Who doesn't love an all-you-can-eat brunch buffet? And you can order a premium bar ticket for endless drinks too! It definitely led to a happy post-Sunday afternoon food coma and nap. And you can bet that the view was unbeatable! I will never tire of Chicago's skyline beauty & all of its Instagram-worthiness. So, how do you get yourself aboard one of these magical cruises? 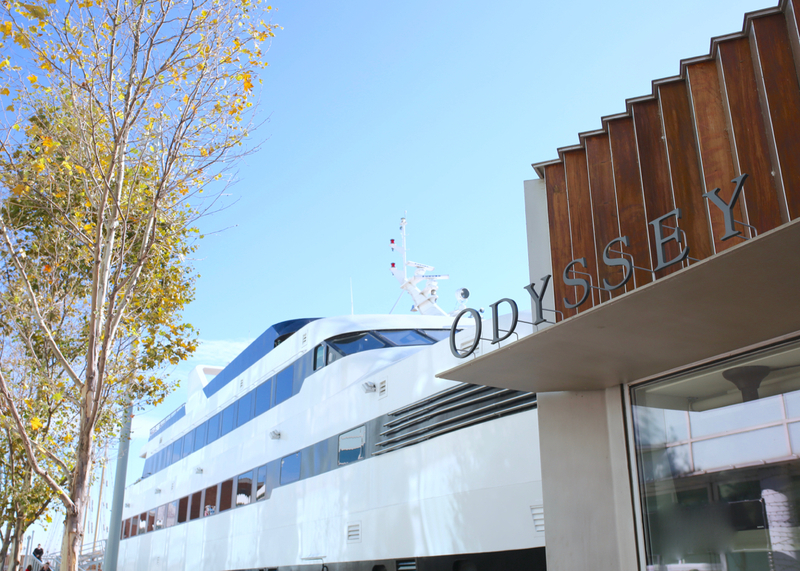 You can find available cruises and reserve your tickets ahead of time on the Odyssey Cruises website. Be sure to reserve quickly, because these cruises sell out! 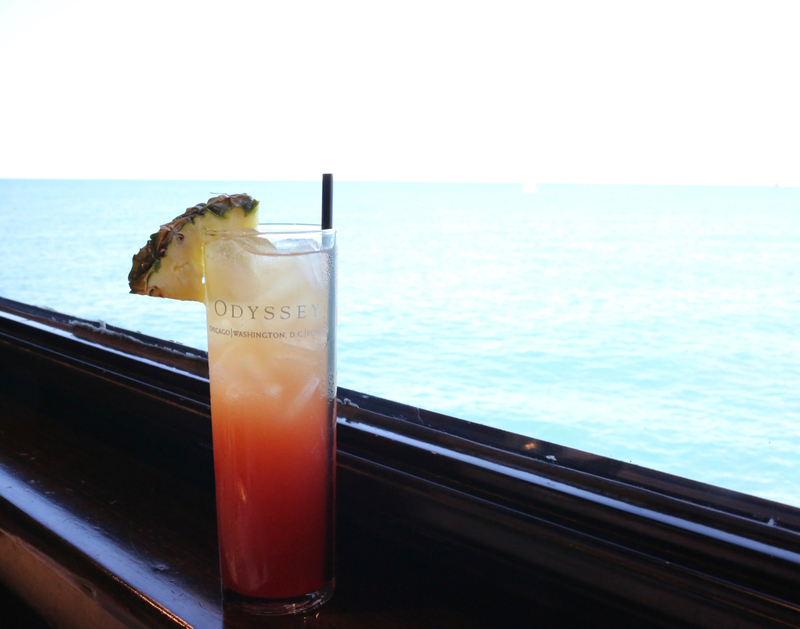 Then, on the day you set sail, you head to Navy Pier and pick up your tickets at the Odyssey booth by the ship. When you board the cruise ship, you will be greeted by the friendliest crew members. It's a quick boarding process and once you get on the ship, you will be seated at your table. At the center of the dining room are heaps of food on the buffet tables. Shown below is just one of the tables. There is a carving station and hot breakfast and lunch items on the other tables. Everyone gets a complimentary mimosa to enjoy upon boarding. You're also welcome to order other drinks. We tried a few, and they're all so yummy! As I mentioned above, you can get premium bar tickets when you reserve your cruise. It's definitely worth it if you plan to enjoy a few drinks. While it's easy to spend the entire time feasting on all of the food. You have to step outside to the top docks to enjoy the view. Even if it's chilly out, you should try to bundle up and brave the cold. 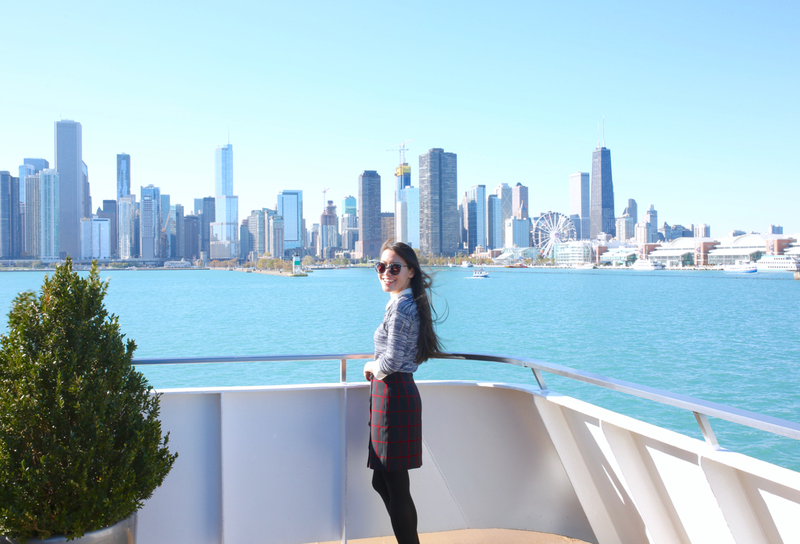 I've always loved enjoying the Chicago skyline on Lake Michigan. It's so beautiful! 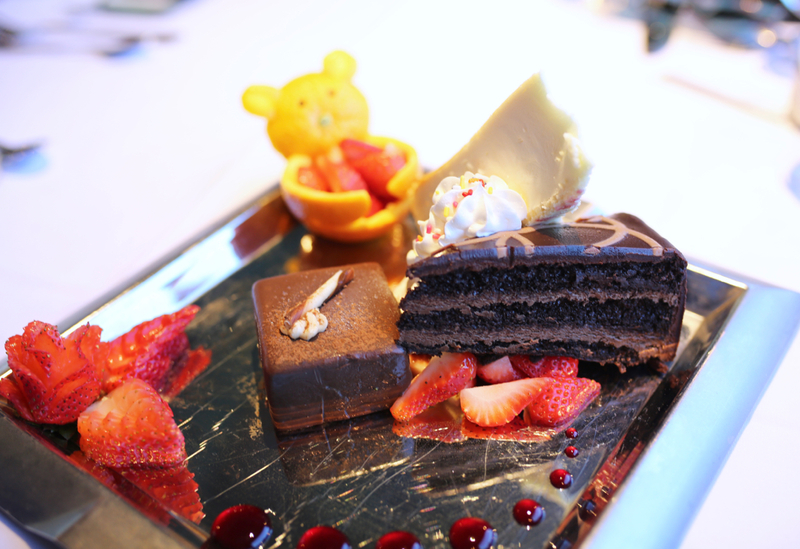 Then, you can head back inside and polish off a plate or two of dessert. If you're celebrating something, they do an incredible job of making you feel special. They make sure to bring out a plate of dessert topped off with a candle. 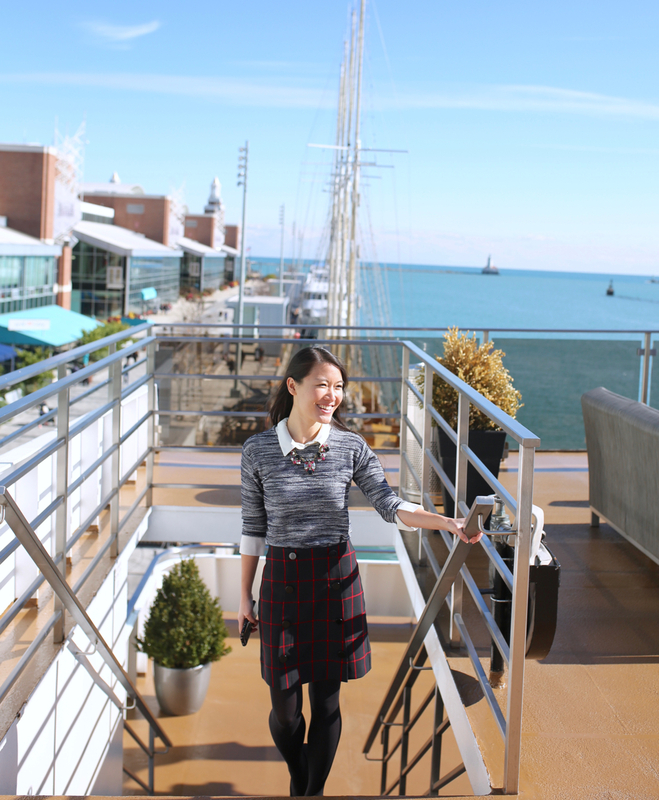 It was sad to dock back at Navy Pier and say goodbye to the best brunch cruise experience! The crew members were so kind and were always checking to make sure we had everything we needed. We left with happy stomachs and the promise of returning! 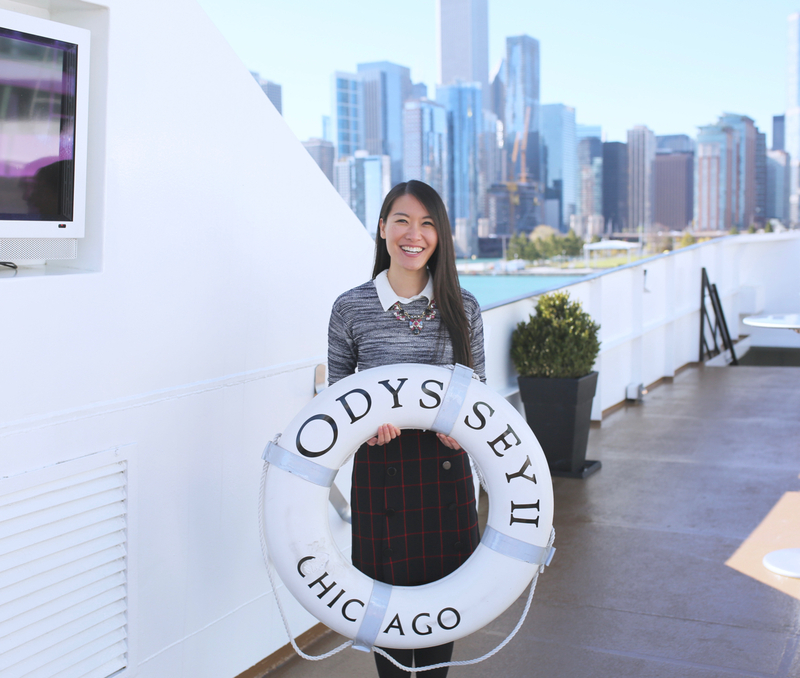 I'm definitely taking my Chicago visitors on an Odyssey Cruise! Champs lunch???? Yes! That sounds amazing and I love your pics!